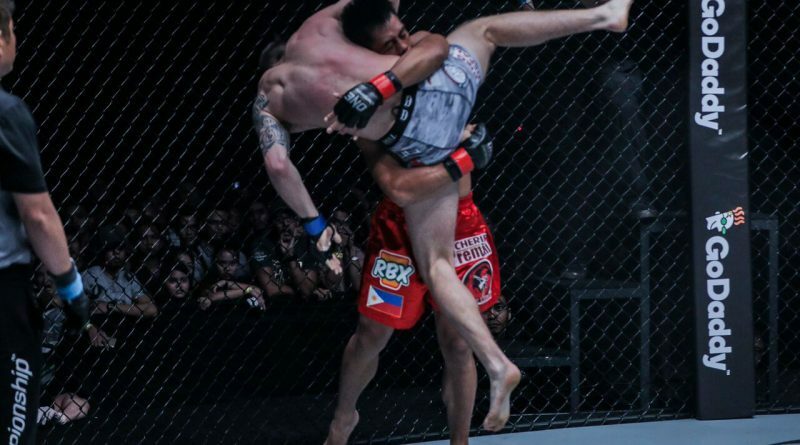 While former ONE Featherweight World Champion Honorio “The Rock” Banario had been flying under the radar regarding his ONE appearance these days, he was never busier improving his grappling game. In fact, quite still unknown to many, he took home three gold medals in two grappling events, held the same day, earlier this month. Banario won a gold at the Philippine staging of Abu Dhabi Combat Club (ADCC), a premier grappling competition with distinct rules geared toward submission wrestling, on October 7, then took home two more gold medals at Asia Pacific Sub Only Gi and No Gi tilt, which was held later on the same day. His Asia Pacific medals were for winning both gi and no-gi matches at the blue belt level, where he competed at the “under 85kg” weight class. 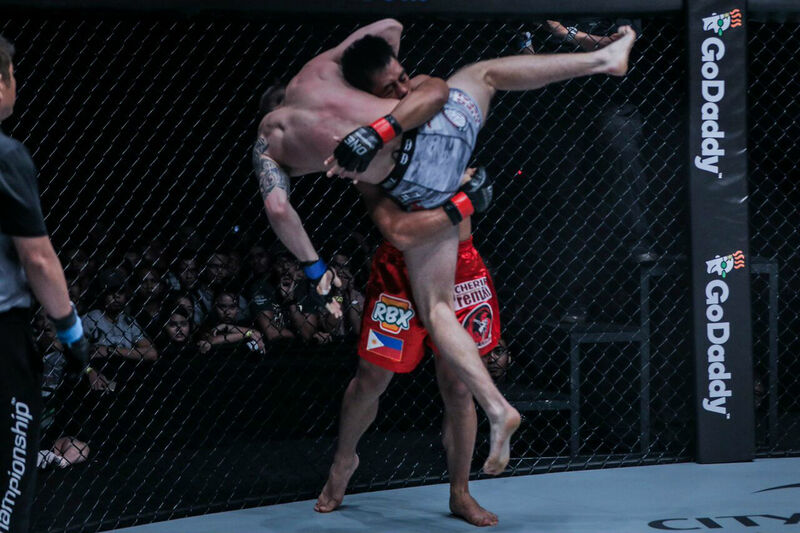 This should blend well to the mixed martial arts career of the Team Lakay star. “I’m hoping to compete more in BJJ (Brazilian jiu-jitsu) in the future,” Banario said, adding that he will do so as long as it does not interfere with his schedule in mixed martial arts. Team Lakay was once criticized for what many then observed as lack of grappling skills and heavy reliance on striking. Then, their fighters suddenly forged wins matches here and there via the submission method, triggering speculation that they suddenly are turning more to the grappling game. In a Herald Express interview with Head Coach Mark Sangiao last July, he, however, belied the notion of abandoning the striking stance as their main bread and butter. “We never abandon, we add. This is MMA so it means we have to be complete in all aspect. We should not leave holes for our opponents to strike us at down. We have to have the complete weapon – what would pay off in different situations is the game plan”, said Sangiao. Banario’s win of the grappling golds, as if to complement what Sangiao said, underscores the strides made by the team in recent years in terms to get better their ground game and become more well-rounded. On his ONE career, Banario said that he was “back to the drawing board” following his loss to Singaporean standout Amir Khan last September. Fortunately for the team, they will have another crack at Khan this November as Eduard Folayang is slated to face the Singaporean for the vacant ONE Lightweight World Championship at ONE: CONQUEST OF CHAMPIONS, set for the Mall of Asia Arena in Pasay on Friday, November 23. As for Banario, he said will continue enhancing his skills while waiting for the announcement of his next bout.